Summer in the PNW cannot come soon enough! Luckily the summer seasonals are already churning out. And apparently a little brewery in Texas knows what summer should taste like. I have been a huge fan of Spoetzl Brewery’s Shiner Bock for years. Well, I happened upon a new concoction released for summer. 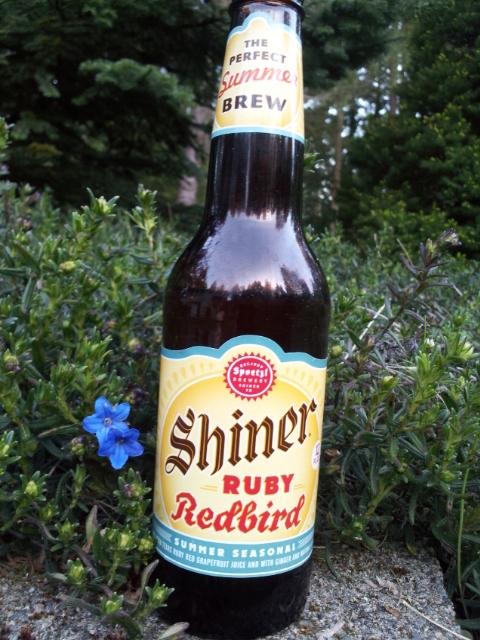 Shiner Ruby Redbird is a wonderful citrus seasonal brewed with Texas Ruby Red grapefruit juice and fresh ginger. The grapefruit flavor is not the hoppy kind, but the sweet, juicy kind. The ginger sweetens ups the tart of the grapefruit by adding a light pungent character creating a very well-balanced, flavorful beer. Mt. Hood, Citra and Cascade hops along with Munich malt give a little extra kick and texture to this lovely crisp beer. The finish is clean and sweet and at 4% ABV it is perfect for the hot summer days. So next time you’re sitting in your fold up chair with your feet in the kids wading pool, don’t forget to grab one of Shiner’s finest. It’s a great start to a lovely, hot summer.